Can you believe it’s September already? We sure can’t! While this month usually signals the end of summer vacation and the start of school, there’s no shortage of family fun to be had around the Washington, D.C. area. 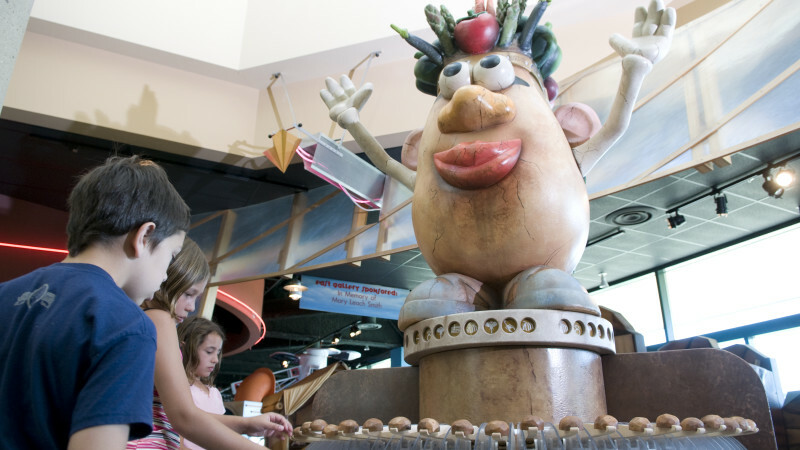 Check out some of our annual favorites like ZooFiesta, as well as some new openings (a Mr. Potato-head exhibit is coming to the Port Discovery Children’s Museum!). Happy September, everyone! 1. Blending amusement park hype with agriculture, the Great Frederick Fair, which runs from September 14 to 22, is a can’t-miss for families. 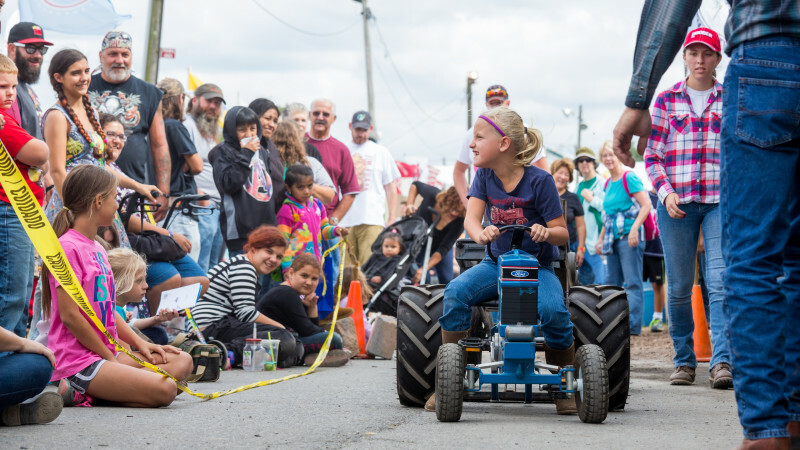 Expect rides, harness racing, a pedal pull (where children can see what a tractor pull is like), horse and pony shows, and tons of yummy treats. Adults $8, children under 11 free. 2. Head to Mount Vernon on September 15 and 16 for their annual Colonial Market and Fair. You’ll meet colonial-attired artisans demonstrating 18th-century crafts and selling things like baskets, woodcarvings, tin and ironwork, weavings and furniture. Included with admission—adults $20, children (ages 6-11) $12, children 5 and under free. 3. Sign the family up for the 2018 Prevent Cancer Health Fair and 5K in Nationals Park on September 16. There will be a special Fun Run for little ones as well as access to the Nationals’ newly renovated jungle gym. $35, children 12 and under free. Dogs are welcome (and free! ), too. 4. Adventure Theatre kicks off their new season with Blueberries for Sal, a musical based on the popular book by Robert McCloskey, from September 21 to October 21. The show is recommended for kids of all ages! $20. RELATED: Best Places to Go Apple Picking with Kids Near D.C.
5. Get tickets to see Click Clack Moo at the Maryland Ensemble Theatre. See what happens when Farmer Brown’s cows protest their working conditions. The show, based on Doreen Cronin’s book, plays from September 22 to October 14. $12 or $40 for a family four-pack. 6. A new season brings new exhibits to the D.C. area! Port Discovery Children’s Museum in Baltimore welcomes The Adventures of Mr. Potato Head on September 22. Little ones can crawl through a jungle cave, go scuba diving and even run a space station. Plus, there’s a cool collection of Mr. Potato Head parts and accessories. Included with admission—$15.95, children 2 and under free. 7. Visit President Lincoln’s cottage for their Homecoming event on September 22. In addition to a Freedom 5K run and a Tot Dash, there will be family day activities like crafts, pony rides, tours of the cottage, stories and more. Free, but register here. 8. Fight the back-to-school blues at a local concert! Joanie Leeds & the Nightlights plays at AMP by Strathmore on September 23. The kindie rock band will sing tunes from their latest album, Brooklyn Baby! Then, on September 30, enjoy a performance by Josh & the Jamtones at the 6th Annual WJMF Day in the Park at Stead Park. Joanie Leeds: $12, children 2 and under free; WJMF Day in the Park: Free. 9. 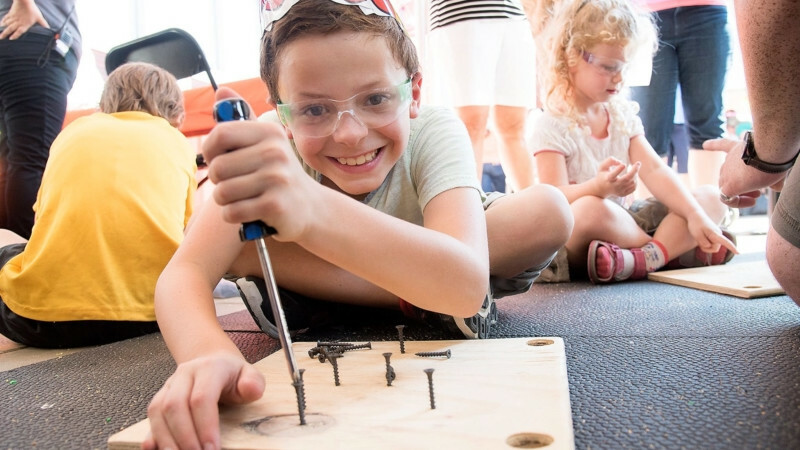 Explore all types of STEM activities at KidFest on September 23 at Veterans Plaza Silver Spring. Look forward to robot building, textile design coding activities. There will be an outdoor stage with performances, demos and talks, too. Free. 10. Zoo Fiesta returns to the National Zoo on September 23 with live music and educational activities about conservation in Central and South America. Kids will have the chance to meet animals native to the region like Andean bears, sloths, and Panamanian golden frogs. Free.